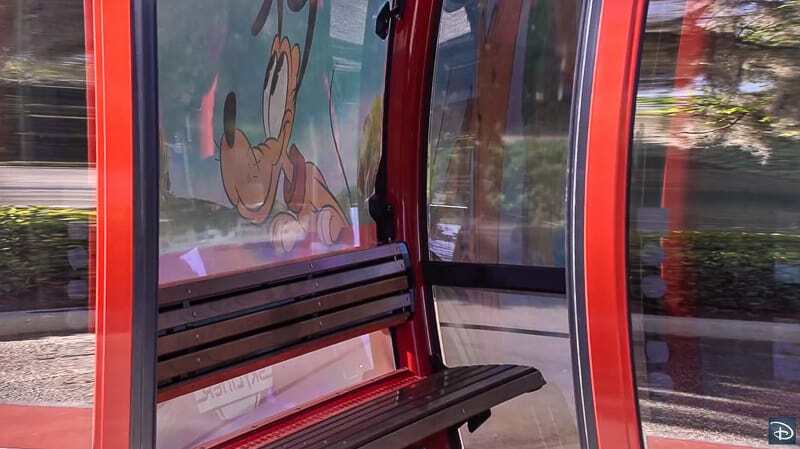 (UPDATE 4/18/19): Some exciting new details were released about the Disney Skyliner Gondolas today including a look at the inside of the Gondola cars themselves and what the air-cooling system will be like inside. The Disney Skyliner has been exciting to follow ever since the announcement at D23 Expo 2017. Many questions remain though and Disney has not been forthcoming with information about its newest transportation system, so it’s nice to get a better look at them. 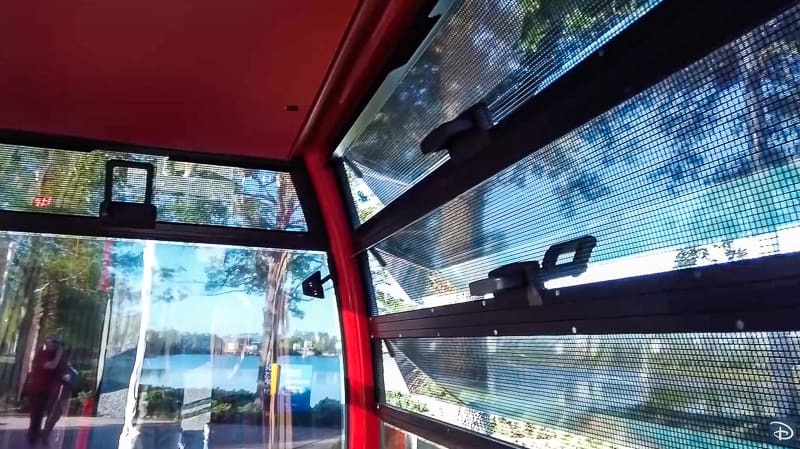 Contrary to what was originally thought about the Disney Skyliner Gondolas, this newest transportation to the Walt Disney World Resort will NOT have air conditioning as has been confirmed by Disney and seen up close now in these new photos. However it does look like there will be significant airflow through them. 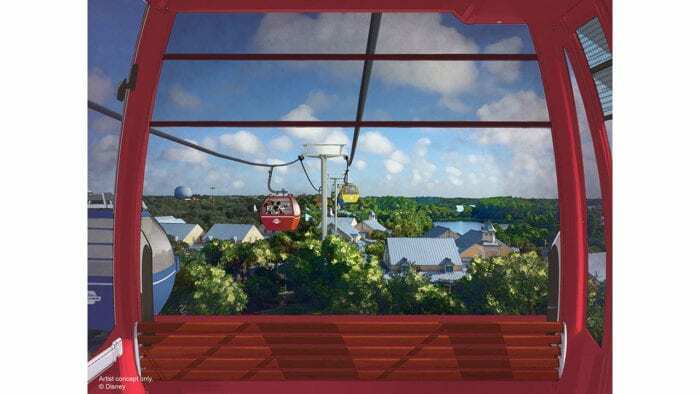 In this post we are going to talk about what the air movement system will be like in the Disney Skyliner, the speed of the gondolas, as well as the size and future expansion plans over Walt Disney World. 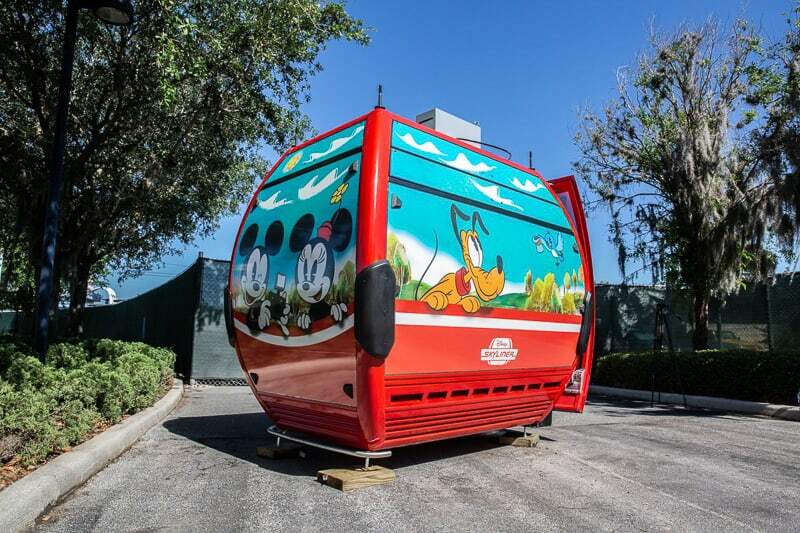 As you know there are going to be characters on some of the select Disney Skyliner gondola cars. This one has Mickey, Minnie and Pluto on it! It’s going to be great to ride around in these and it will be fun to wait for your favorite Disney characters! 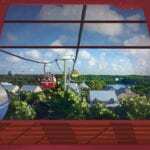 One of the biggest questions on everyone’s mind has been whether or not the Disney Skyliner will have air conditioning. It doesn’t take a genius to realize that it’s hot in Florida and sending up hundreds of passengers to cook under the baking sun in a metal can might not be the most pleasant experience. Unfortunately the Disney Skyliner WILL NOT have air conditioning after all. This is kind of upsetting as I didn’t think Disney would risk having people melt inside the Skyliner cars. Disney though has commented that the air-flow system that will be installed should be more than enough to keep guests comfortable. If you look at this photo you can see there are panels which are able to tilt out on both sides which should let a cross-breeze in. The reflective windows should help with the blazing sun! 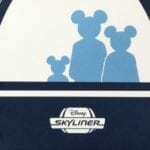 Another big topic has been how big will the Skyliner cars be? Most reports earlier had said 8 people. 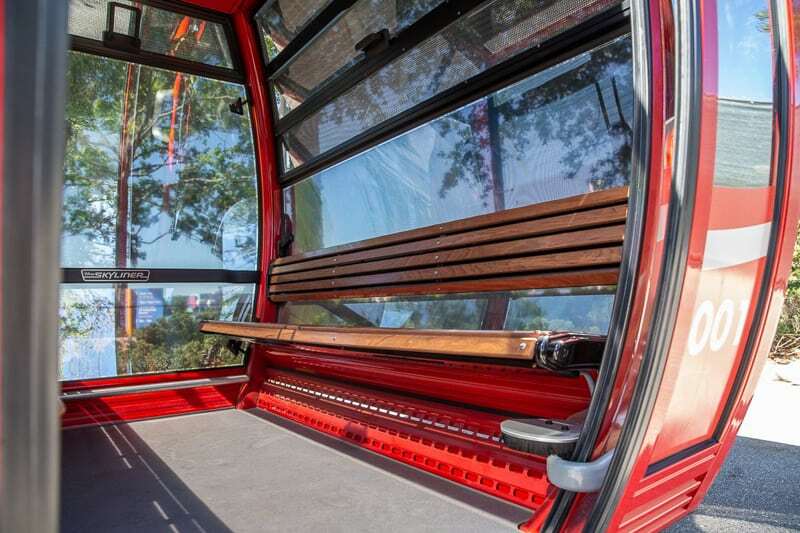 Well now we know that the Disney Skyliner will hold 10 passengers, and there will be twin wooden benches. The 10 passengers are what fit on the two benches, but one would assume you can stand too if you prefer which may allow for even higher capacity during peak hours. They will also be able to hold passengers in wheelchairs. That size is about we thought, and again makes much more sense considering the high traffic level these will have. Now how often will the cabins have everyone standing in them? That’s another question and I don’t know how they will control that. Will Disney leave it up to passengers? Will they make people stand up when there are a ton of people waiting in line in order to get people going quicker? It’s gonna be hard to control especially due to the high number of people who might need to sit for one reason or another. 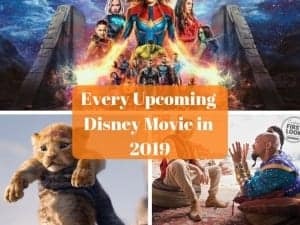 We’ll keep an eye on this to see how Disney handles it. Disney’s official estimated ride times for the Disney Skyliner are rides between 5-15 minutes, though most will be quicker than 15. 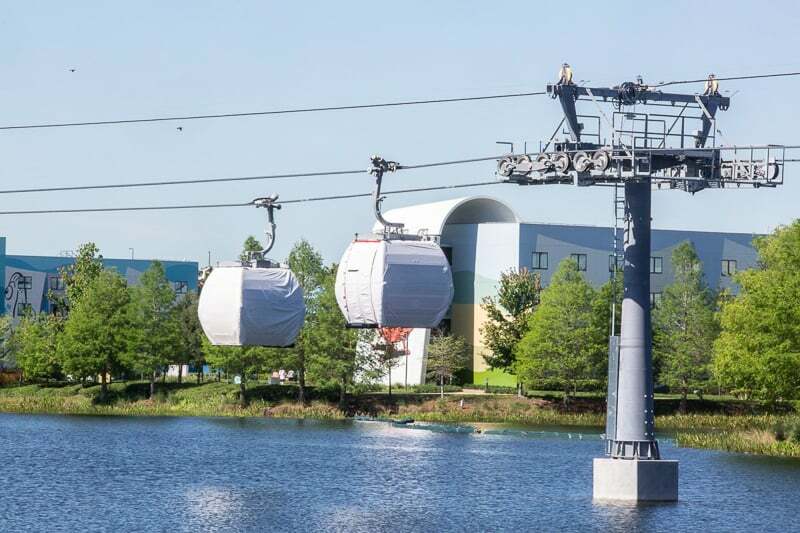 There will be more than 300 gondolas in the Disney Skyliner fleet and they will travel at heights of up to 60ft. The Disney Skyliner cars are going to move pretty fast. They will have a cruising speed of 11mph and will slow down to about 1mph when arriving at the station and people are exiting and loading. It will be like an omnimover attraction (think Spaceship Earth) where it never really stops but Cast Members can pause or slow down the gondolas to give guests as much boarding time as needed. Most of these times are taken from the Caribbean Beach station since that will be the main hub for the Disney Skyliner and guests will be getting on and off here. From that we learn 2 things. One, it’s going to be a very fast and effective way of getting around property, though I think those time estimates are pretty conservative. For example it’s about 1.75 miles using the projected Disney Skyliner path from Epcot to Pop Century/Art of Animation. That means it should be around 10 minutes or so going 11mph at that distance if the gondolas didn’t stop. Guests will have to get off and back on to change directions to wherever they want to go at the Caribbean Beach station which slows it down a bit. So add a few min for loading and going from Epcot to Pop Century is still pretty fast! Second, the cars keeping moving while at the station during the loading/unloading process means Disney is putting a priority on efficiency and speed. 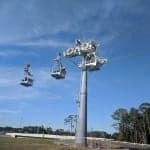 Will the Disney Skyliner be Accessible to Wheelchairs and Scooters? 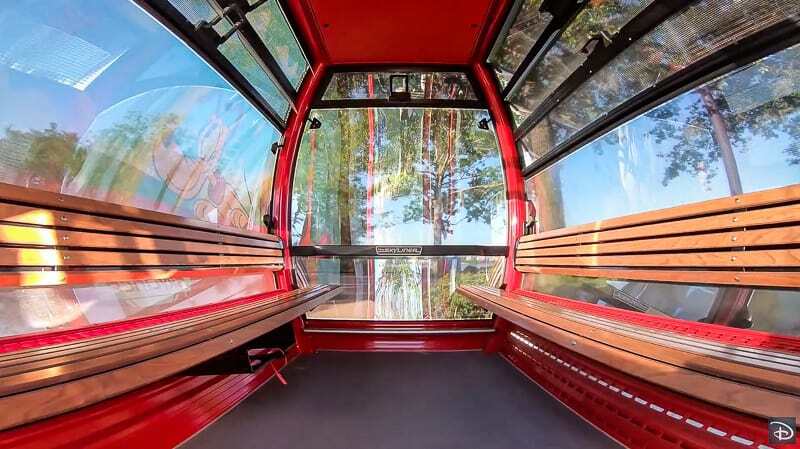 Disney has confirmed that wheelchairs will be allowed on the Disney Skyliner and fit in quite nicely. The level of the cars is going to be the same as the platform which means it will be really easy for anyone in a wheelchair or whoever has a stroller to get on/off. This is really good to hear and should minimize wait times. What exactly do they mean by “assistive devices?” If scooters are included in that category then they will be allowed. My gut feeling is they will allow them seeing that a big number of families have at least one member who uses a scooter, and it shouldn’t be a problem loading them in the gondolas imo. I’ll keep you updated as soon as I hear more! Right now during this phase of the Disney Skyliner construction project there are going to be 5 stations: Epcot, Disney Riviera Resort, Caribbean Beach, Hollywood Studios and Pop Century/Art of Animation. The key word though is “this phase” because if everything goes smooth with the Skyliner, Disney has plans to expand it out to other parts of Walt Disney World Resort in phases. The second expansion would be east of the current infrastructure and bring you to Typhoon Lagoon and up to Disney Springs. Supposedly the stop at Disney Springs would be on the far side close to Rainforest Cafe. 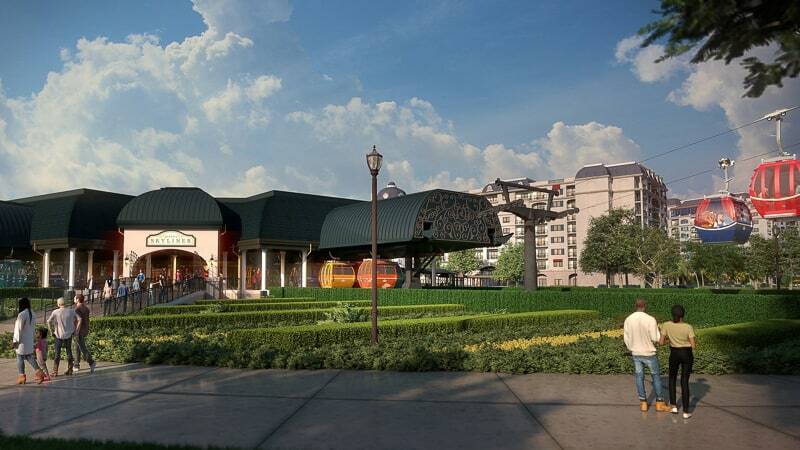 That would allow guests staying at Saratoga Springs Resort and Hotel Plaza to use the Skyliner. For both of these expansions we’re probably looking at about 5 years down the line if everything goes well with the first phase. This is a lot of information and makes it clear that Disney doesn’t view the Disney Skyliner as some little toy model, but as a realistic, viable solution to their transportation needs for the long-term. Disney hired a transportation expert who was in charge of the system in San Francisco some years back, and the Disney Skyliner they decided is a big piece of the puzzle for the future of the resort. 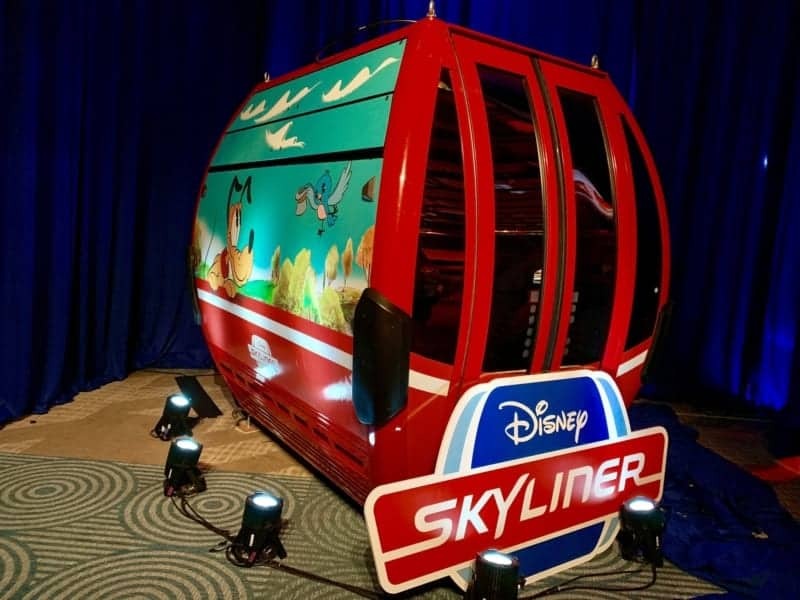 The Skyliner is going to provide quick transportation from some of Disney’s biggest hotels to and from the parks, and it will also keep traffic from overcrowding the Walt Disney World highway system which is taxed right now. Also much like San Francisco has, it gives Walt Disney World an iconic transportation system moving into the future. You know, that thing that people have to try while here on vacation and gets them talking to others about it back home. Years ago it was the Monorail system, but now people talk about that only for negative reasons. We still don’t know when new monorails are coming to Walt Disney World and they are a complete mess right now. Supposedly there’s also a plan eventually to bring the Disney Skyliner to the Magic Kingdom, but that’s very far off and may or may not happen depending on a lot of other factors. The only question left is what Disney is going to do about lightning, considering this is the lighting capital of the country. They’re going to have to really be on point with watching the weather systems coming to to avoid potentially dangerous situations. And in the case the Skyliner isn’t running, will they have buses on call to pick up all the remaining guests? Disney must be very sure that the Skyliner is going to be a success because they are investing hundreds of millions of dollars into it. They have to have already figured out all the solutions to any potential problems. Ultimately I think anyone just looking at the Disney Skyliner as this small, little toy transportation system is missing the point. It’s an attraction in of itself. 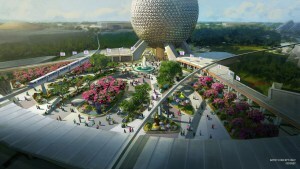 It’s going to make a huge impact on the way guests move around the Walt Disney World Resort for the next decades and in light of these new details, that choice is seeming better and better. When is the Disney Skyliner Opening? That’s a question that we are anxiously waiting for, but progress on the project has been moving at light-speed with testing going on every day. We know it has to be open in time for Star Wars Galaxy’s Edge which opens August 29, 2019. The Skyliner will be open before that for sure! 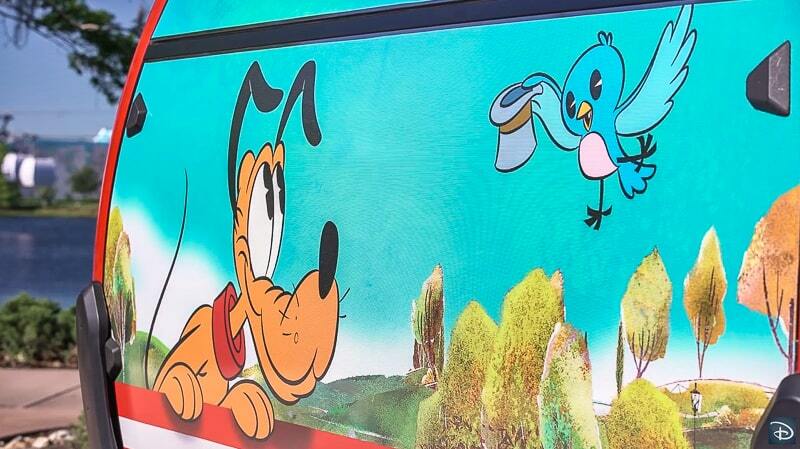 Stay tuned at ZiggyKnowsDisney.com for more info on the Disney Skyliner as we’ll keep updating you as soon as we know more! Our latest Disney Skyliner construction update also shows the progress being made! In the meantime you can check out our updates on some of the other construction projects going on in Walt Disney World and track their progress! If you need help planning your next Walt Disney World vacation, our friends at Show You the World Travel are certified Disney Travel Agents and are super helpful with all your planning needs. I highly recommend them and the best part about it is they are FREE to use! Are you looking forward to the Skyliner? What other locations around Walt Disney World do you want it to go? I know it is expensive and Disney dropped the ball with Siemens (IMO) to help pay for expansion of the monorail system/cars, but would still like to see them eventually expand the monorail line too. 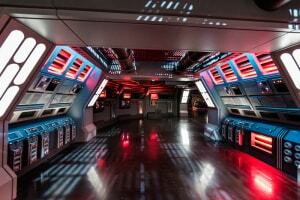 As many options as possible to move guests in and and around WDW is a big plus. Would love to see this come to the Magic Kingdom. Can be so hectic to be leaving the Magic Kingdom in the evening after the fireworks and still need to get to the TTC along with the thousands of others also leaving at the same time. Worse is when a monorail or ferryboat is down during this time. I’m not a fan of metal buckets dangling precariously from however many feet up. However, Disney is typically extremely safety-conscious. I’m reserving judgement until I experience it. Do you know if strollers will be permitted on the Skyliner? You’re welcome Kelly! I would absolutely think so because obviously parents will need to bring them to and from the parks and hotels so I wouldn’t worry about it at all! I was a Disney Imagineer that worked with Walt back in California . I’m well aware what the Skyway back at Disneyland. It will re a success. thanks for your comment Larry. 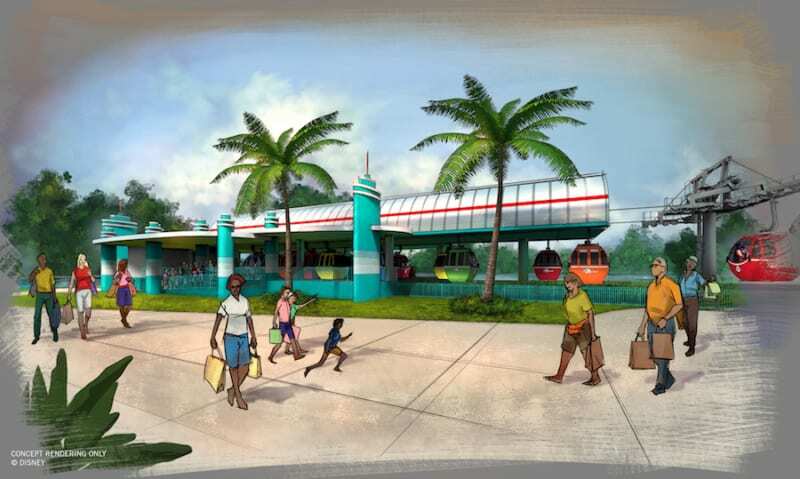 Yes I have no doubt that Disney will do a great job with the Skyliner when it’s finished! thanks for the comment. 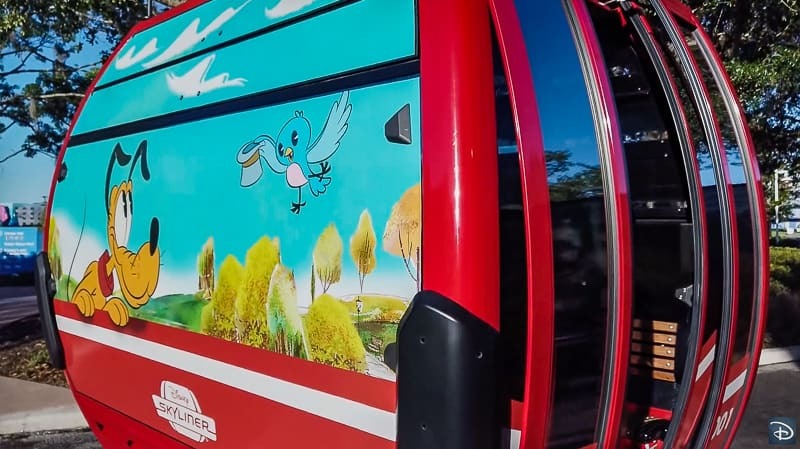 I don’t know anything about the ECV scooters at this time, but we should be finding out more about the Disney Skyliner soon! I live in the mountains and these are the exact same gondolas that go up and down regularly for skiers/snowboarders. They are efficient! They are fast. They are comfortable (although we’ll see in Florida in August!) Can’t wait. Oh – and they go across thousand foot valleys and peaks. Shouldn’t be too much of a problem a few hundred feet off the ground! Hi Susan, thanks for posting! Yeah I totally get what you’re saying, and if there is a breakdown in July, get ready for some angry guests. Let’s see what happens in the first month or so of operation, if it’s bad we’ll hear about it for sure!